the man is a master of funny. Diarising his ramble in the form of a 'journey journal', Alan details the people and places he encounters, ruminates on matters large and small and, on a final leg fraught with danger, becomes not a man (because he was one to start off with) but a better, more inspiring example of a man. Through witty vignettes, heavy essays and nod-inducing pieces of wisdom, Alan shines a light on the nooks of the nation and the crannies of himself, making this a biography that biographs the biographer while also biographing bits of Britain. Classic Partridge. Fills in gaps in between alpha papa, knowing me knowing you, etc. 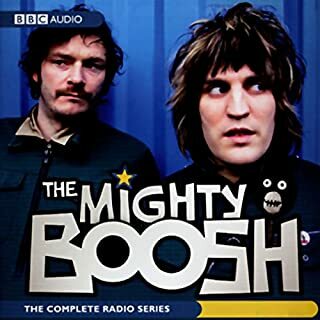 If you like Steve Coogan this is a must listen to. Coogan/ Patridge is one of the premier wordsmiths. What made the experience of listening to Alan Partridge: Nomad the most enjoyable? The mental dexterity of Coogan is amazing - he can find a comic twist or interpretation on the most innocent comment. Lots of very clever and subtle gags throughout. Its a great listen if you take it in sections - it unfolds across a journey on foot, so it feels a little like an 'epic' - a wandering anti-hero talking you through memories and observations as he goes. This is where Coogan is best - forget heavily plotted pieces, just sit him down and get him talking and he will come up with gold every time. Which character – as performed by Alan Partridge – was your favourite? This question does my head in. Suffice to say, Partridge/ Coogan/ etc is a hilarious and nuanced character. My legs are the heroes of walking. 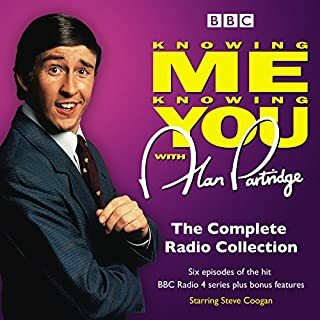 If you are a fan of Alan Partridge, this is hours of his best work and worth a listen. Coogan is criminally underrated as a truly remarkable wordsmith. Many, many hours of Partridge, read by Partridge. Idiotic and glorious. Four more words required. Where does Alan Partridge: Nomad rank among all the audiobooks you’ve listened to so far? 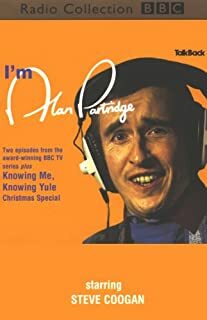 What other book might you compare Alan Partridge: Nomad to, and why? What does Alan Partridge bring to the story that you wouldn’t experience if you had only read the book? Steve Coogan as Alan Partridge reads it. Direct from the horse's mouth, if of course Alan was a horse. A horse that could talk. And read. Absolutely. I had to ration myself into chunks. I only ever listen to books in the car during long trips. I found myself planning to drive just so I could listen to it more! Laugh out loud funny. Should come with a warning to not listen to it whilst driving at speed or operating heavy machinery. Loved it! Why do we love Alan Partridge so much? He is a terrible human being with so many flaws but so likeable. Maybe he makes us feel better about ourselves or can relate to one of his many flaws and obsessions. 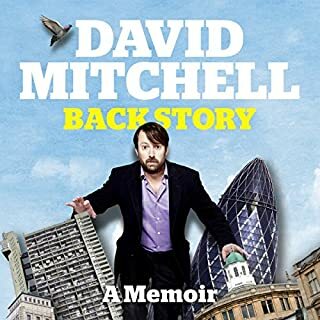 I would have given this 5 stars if I hadn't listened to I Partridge before. This is laugh out loud funny! Alan you are awesome. A wonderful gesture for an unworthy man. Hope the foot gets better soon. Always lively alliteration nuanced, playful articulate rousing terribly raunchy indignant deep grounded educated um, prose. 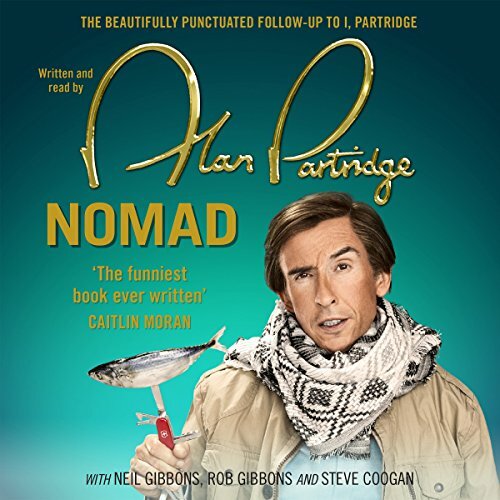 What other book might you compare Alan Partridge: Nomad to and why? Homer's Odyssey, if I'd read it. We learn some new things about the world of Alan Partridge - including one major fact that many people will be sad to hear - but overall this is a daytrip inside Alan's mind and it's fantastic for it. I'm now listening for the third time and it's been better each time, but that's what I've found with pretty much everything he's been in. There are just so many tiny details which require rewatching/listening to appreciate fully.Don't listen to those clever-clogs who spaff their "serious" opinions. 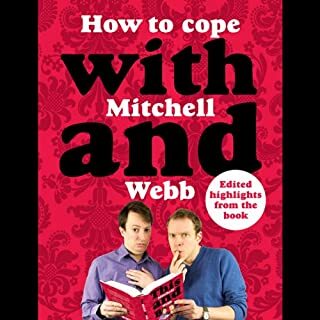 If you love Partridge, you'll love this. What do I think of this book? Thanks for asking. If you could sum up Alan Partridge: Nomad in three words, what would they be? A great achievement, but not as great of an achievement as his autobiography. Mr Partridge's autobiography, and Great New World, by Axol O'Lerpler. The chapter in which Alan describes Alpha Papa. I rarely sit for six hours, thank you very much. Of course, I sleep at night, so I am lying down for six hours, but that's really beside the point. Is this book as good as his autobiography? No. Does the Partridge still deliver a punch? Yes. Alan had a lot to live up to, as his autobiography was (and still is) excellent, and I listen to it religiously (not literally--that would be ridiculous). While Nomad is entertaining, it is just not the same. 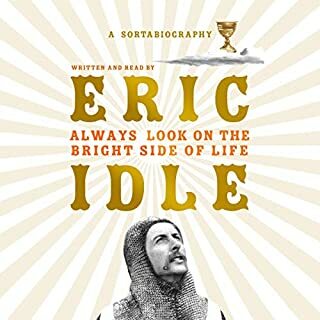 If you're new to Mr Partridge, I recommend you start with his autobiography and then listen to this. You won't be disappointed (unless you are). You have to admire how many ways Steve Coogan has found to bring Partridge to life. In Nomad we find Alan attempting to complete the journey that his father never could, a walk to Dungeness A through a somewhat unscenic Kent. If Kent is the Garden of England, I wouldn't want to see it's derelict allotment. Fair warning that the laughs thin out as the book goes on. The first third is so funny I often laughed outloud, but much like Alan, he can't quite keep the pace up all the way through. But make no mistake, the weakest chapter is funnier than anything else I've had read to me this year. Non U.K. 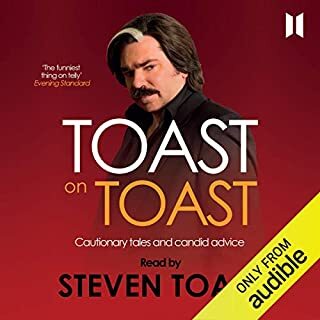 Listeners under the age of 35 will really struggle, but if you want to find yourself speaking ala partridge it's a solid 6 and a bit hours or rip roaring fun. 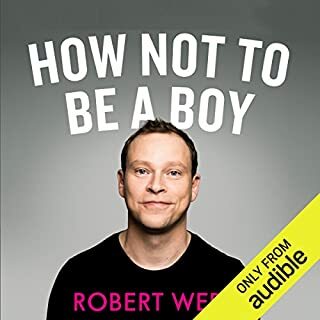 This audio book is flat out hilarious from the first until the last sentence. I have not had the pleasure of listening to Alan Partridge prior to this purchase. That oversight will now be corrected. 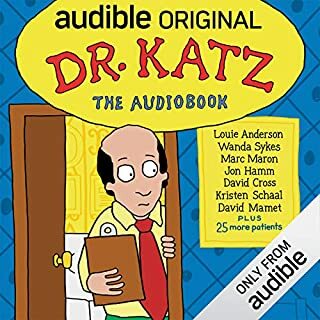 This audio book is literally nonstop funny. I think I at a minimum chuckled after every single single sentence. I kid you not, fair review reader. 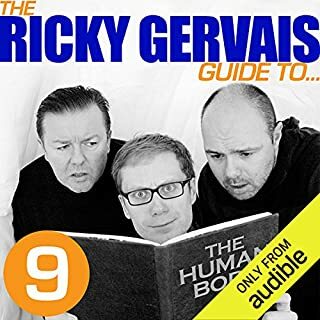 if you want to laugh and have one of the best 6 hours you can have legally, get this audio book. Drop the dime, it is worth your time! This is laugh out loud funny Alan Partridge at his best. 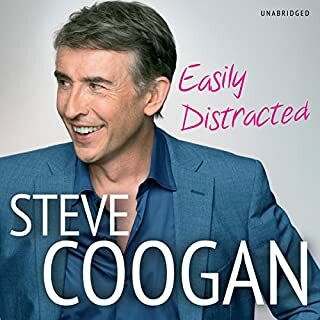 However, if you are unfamiliar with Steve Coogan's character or unfamiliar with minor UK celebrities, that he incessantly name drops, you will unlikely get the jokes. Grown man talks and acts like an adolescent boy. Yuck. Could not finish even one hour of it. Loved this performance - I could picture many of the scenes playing out in a film. It’s densely packed with clever Partridge-esque details. Always appreciative of how Coogan can keep mining this character and still keep it fresh and hilarious. 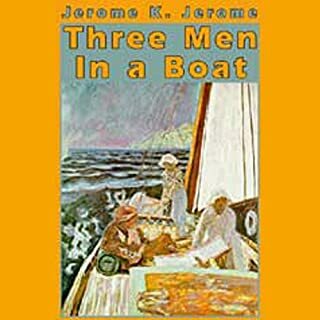 You’ll enjoy this audiobook more if you are familiar with the TV series. 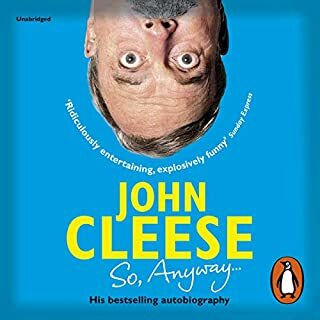 When I purchased this audiobook I had assumed that Alan Partridge was a real British celebrity, with this the story of his walk through Britain an actual travel narrative. In part, yes, but not that kind of story. Reminded me a lot of Pooter in the Victorian satire Diary of a Nobody, but while that fellow was an upfront social climber, Partridge assumes he's &amp;quot;made it&amp;quot; with condescension for all. Normally, that would make a character insufferable; here, however, there are moments of self-deprecation. Towards the end, he almost (don't worry, not quite) becomes likeable. Much of the humor comes from the narrator delivery, so I couldn't see this one succeeding much in print at all. Hadn't realized this is actually a sequel, so got the first book for a time when I need guaranteed laughs. I'm fairly Anglophile, but some of the cultural references still went past me, but I'm confident I inferred the point correctly when that happened. So, don't get concerned if that happens to you as well. As good as the first book, which is near impossible to live up to. Will repay you with new laughs on each re-reading. A wonderful achievement. Lovely stuff. Not my words. The words of Shaking Stevens. Eat that. Back of the net. Great fun, well put together and easy to follow....some parts do make you cringe and laugh at the same time! OAP, Old Alan Partridge delivers another truly first class book. The audio recording is excellent, which is what you can expect from Sennheiser recording equipment and the expert use by the much loved UK radio and TV (less so after the shooting) presenter. We hear of the emotional and physical struggles of Alan attempting to walk in the footsteps of his father while simultaneously struggling to promote his walk to TV producers. 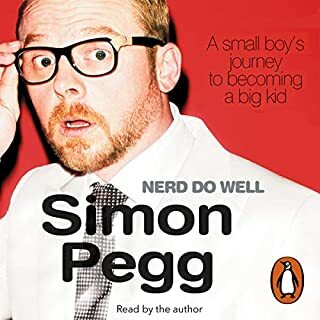 very funny and a joy to read/listen. Early on in the book Partridge admits to padding the word count with meaningless filler, and it's depressing to realise that it's not merely a gag but the literal truth. The opening is pure Partridge, promising a great evening for veteran and newcomer alike. Yet within minutes it loses its way, like an old friend you find you have nothing in common with anymore. It reminds me of Season 4 of Arrested Development, where the characters were split apart and forced into isolation, denying the audience the joy seeing them at each other's throats. The same has happened here, my anxious wait for the pre-order morphing into excitement, trepidation and finally disappointment as I realise it's just not funny. Not as a standalone and certainly not next to I, Partridge. It's a lazy book, too long in the making that forgets the warmth of affection people have for the character and winds up outstaying an awkward reunion. I really hope another book is due and sooner rather than later. 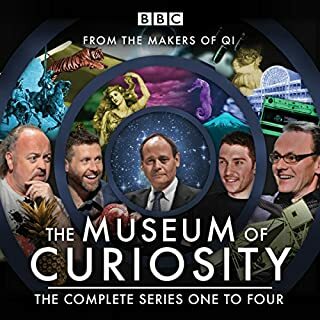 Recommended only for the most die-hard listeners of Mid Morning Matters. Just as funny as "I, Partridge". Repeated listening will reveal more gold in it 😊. 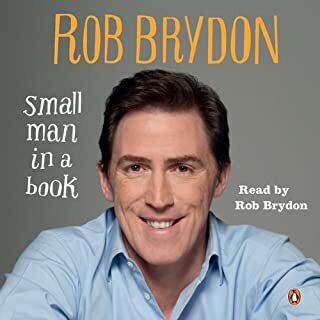 I was genuinely excited for this book having enjoyed I, Partridge immensely and being a fan of Steve Coogan's work . Unfortunately as much as I wanted to love it, it just doesn't live up to the anticipation. 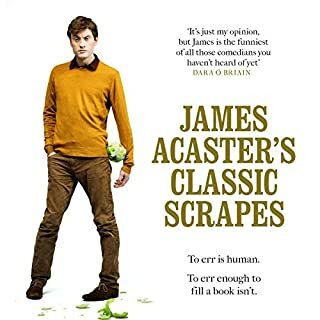 There are a few classic Partridge moments scattered throughout the book and the narration is very good throughout as you'd expect but the actual text struggles to find its way and feels cobbled together. Disparate ideas have been patched up into a narrative without a clear need for the story. This makes sense given how Alan himself comes up with the idea for the book within the book but unfortunately no level of meta meaning can compensate for a weak text. I get the feeling that this would have made a good episode or 2 of the TV show with all of the body language and the different edit choices that would go into that kind of project but as a book it falls flat and although I got through it, it dragged quite a lot and I only genuinely laughed once. A fabulous performance from Coogan as he entertains with another update in the life and trials of Alan Gordon Partridge. The driving force behind the book has been Alan's intention to reconnect with his past, and, the book feels a lot like 'bouncing back' would have, had it not been pulped in the TV series. 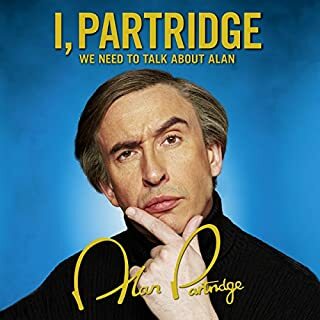 The overall effect is that it is true Partridge and a good addition to any fan's collection. However, unless you are a fan who would quite happily go around quoting Partridge is normal conversation, this might not have enough sustenance for a first introduction to the character. Alan just gets better each year. I think this might be the perfect format for him too. I laughed all the way through and listened to the whole thing in one sitting. Keep going Alan!